Bulgaria has come in sixteenth in Eurovision first semi-final, the worst ranking since the country has joined the song contest, final results show. 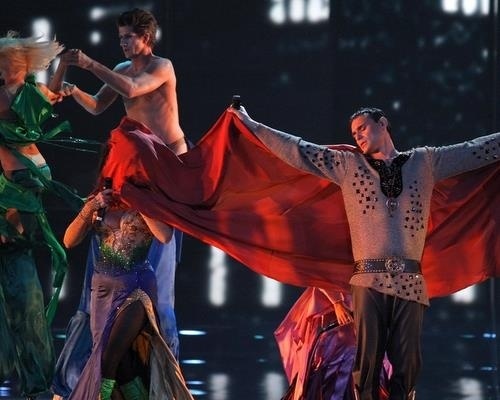 After the first of the two semi-final competitions with eighteen countries, which took place in the Russian capital Moscow Tuesday night, Avramov and "Illusion" garnered no more than seven points and failed to make it to the final, organizers announced after the wrap up of the grand show. It was only Belgium and the Czech Republic that trailed behind Bulgaria, ranking seventeenth and eighteenth respectively. Bulgaria's last year Eurovision bid "DJ Take me away" by house/electro band Deep Zone Project also could not go through the second semi-final in Belgrade, yet staged a better performance and garnered 56 points, coming in twelfth. It was in 2007 that Bulgaria's drumming duo Elitsa Todorova and Stoyan Yankulov stormed the Eurovision final in Helsinki with an impressive performance of their song "Water" and ranked fifth in the final. The Bulgarian contender for the Eurovision 2009 Song Contest, Krassimir Avramov, drew fierce criticism both before and after his appearance in Moscow. He was slammed at home on allegations of rigging the vote and flayed abroad for his poor performance.